I waited by the water hole in the evening, and sure enough, they came. First I saw the dust plume in the distance, which I mistakenly believed to be a car on the dirt road. 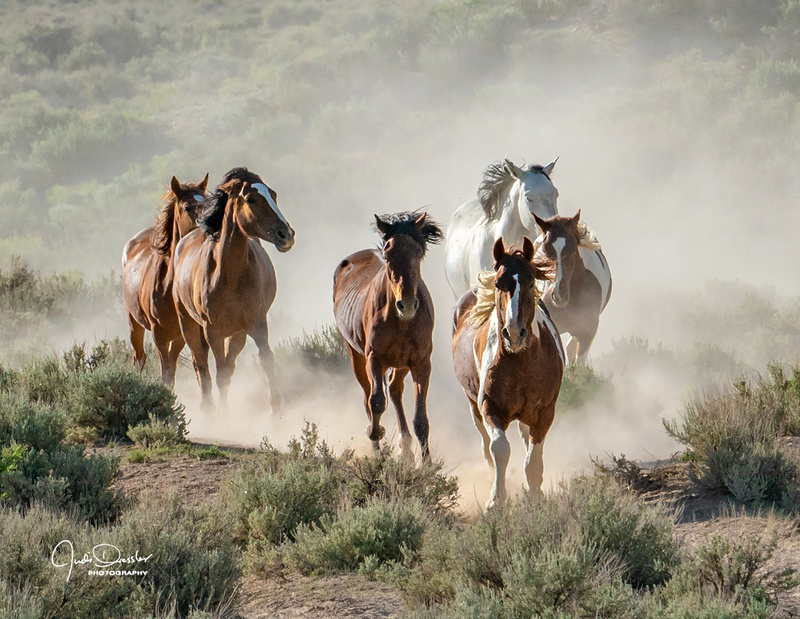 But gradually that dust plume moved closer, and suddenly, there were the wild horses (wild Mustangs), running in. What a beautiful sight as they thundered towards me! Photo taken on June 6th, 2018, in NW Colorado.